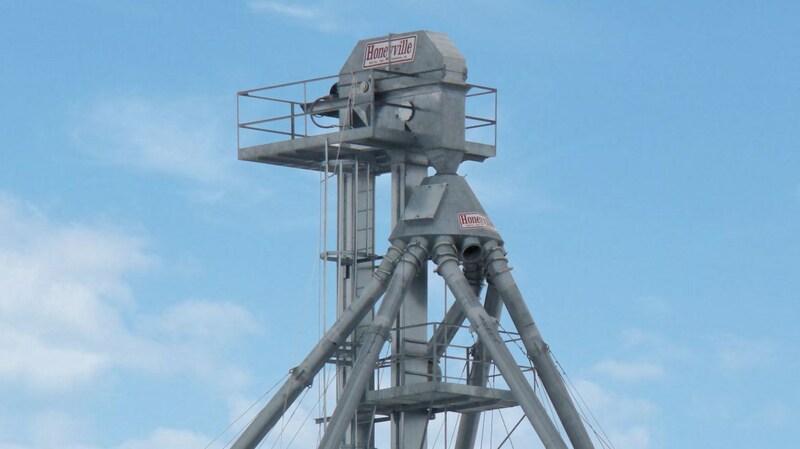 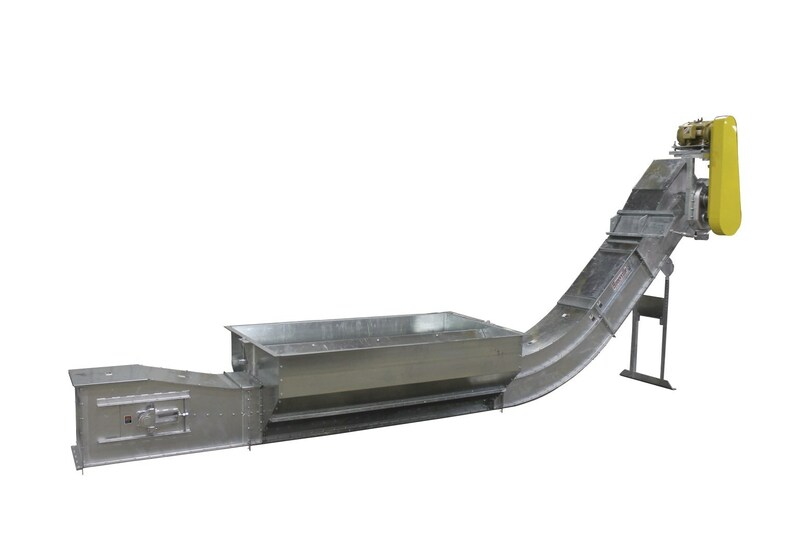 Incline Drag Conveyors (Industrial Series) | Honeyville Metal, Inc. 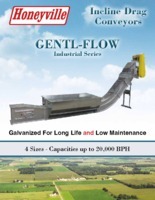 The Honeyville Industrial Series Incline Drag Conveyors are available in four different models with capacities from 5,500 BPH up to 20,000 BPH. 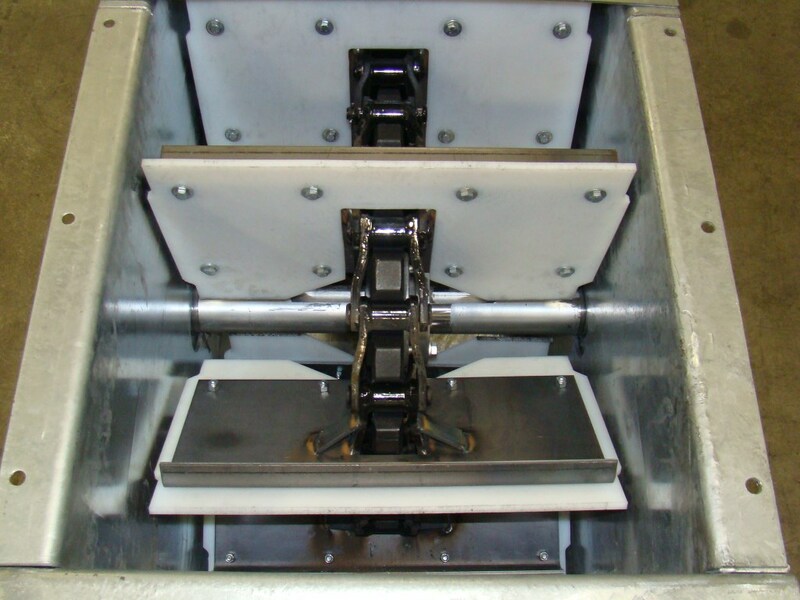 Chain & Paddles: Heavy duty WR78-4 and WR124 steel chain with welded steel attachments, and bolt-on 3/8” thick UHMW paddles (optional 1/2” thick available). 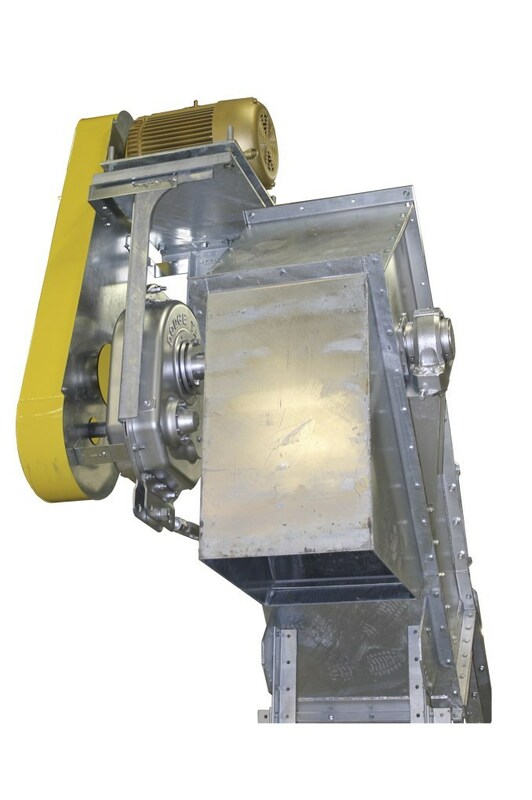 Gear Drive: Class II Dodge torque-arm type gear reducers installed with fixed pitch v-belt drives and overhead motor mount. 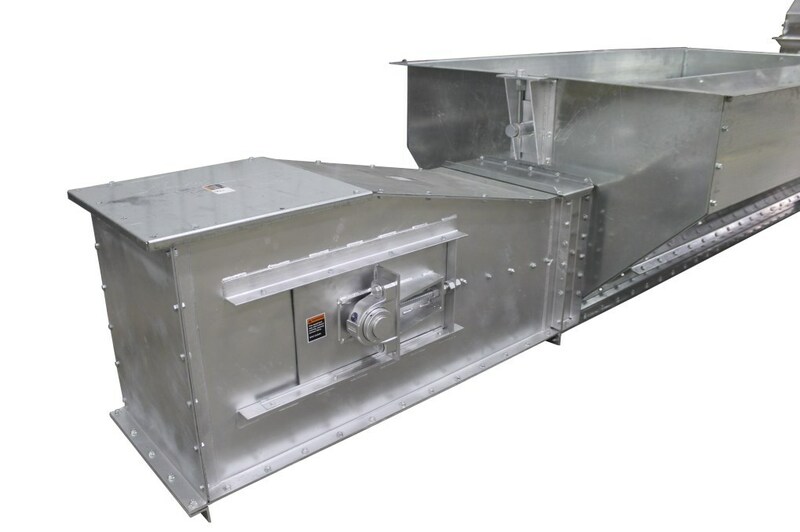 Bend Section: Long-radius, high flow incline bend sections available in 45° (standard), 30° and 15°.